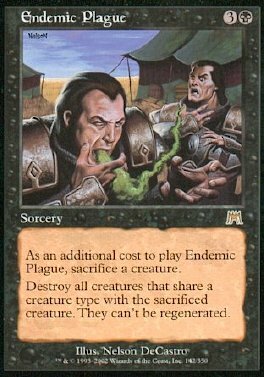 As an additional cost to play Endemic Plague, sacrifice a creature. Destroy all creatures that share a creature type with the sacrificed creature. They can't be regenerated.